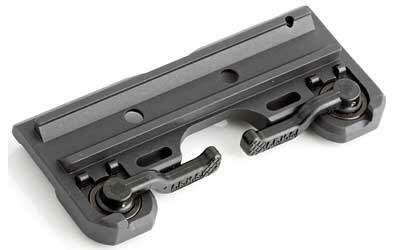 New A.R.M.S.® Low Dual Throw Lever mount for Trijicon ACOG. 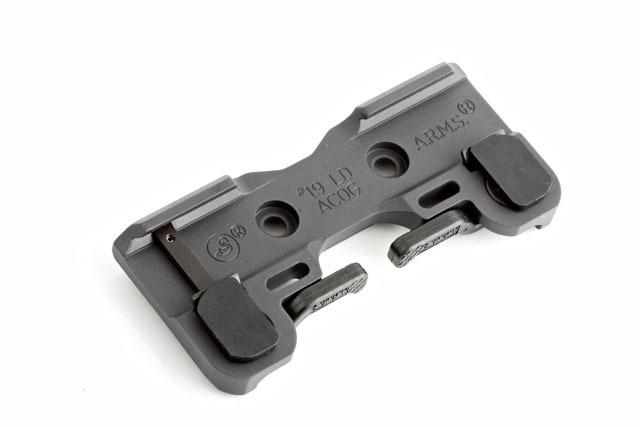 A.R.M.S.® #19LD ACOG Low Dual Throw Lever Mount. 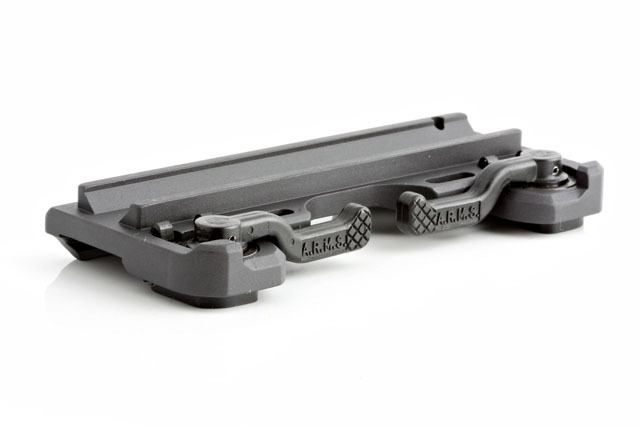 This new quick detach mount raises the ACOG by only approx. 3/16" off the top of your rail. The mount is approx. 3 3/4" long to use up as little rail space as possible.